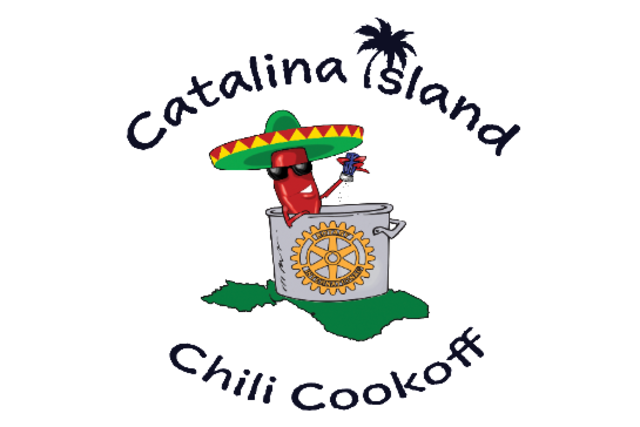 The Avalon Rotary Club is pleased to host the Catalina Island Chili Cook-off! 3 different categories of judging: Judges choice chili, Peoples choice chili and Peoples choice salsa. $3,000 in prize money why not enter your prized recipe and have some fun while you're at it. Chili entry includes free entry into event. Adults $20.00, Children ages 5-11 are $5.00 or purchase a family pass for $75.00. Children under the age of 5 are free! Live music, food, games, raffle and more. Spend the day at the beach, have a drink, taste some amazing recipes and enjoy! Family pass includes the following: 2 adult tickets, 2 children tickets, 4 alcoholic beverages, 4 non-alcoholic beverages & 4 snack items.